Mr. Andy Oxley grew up on a farm in Northeast Iowa. After college, he spent many years as a city slicker in the business world dreaming of returning to his country roots. Two years ago, Mr. Oxley purchased a house on fifteen acres south of Nashville, Tennessee. He then moved an apprehensive Mrs. Oxley and their two teenagers to their new life on the farm. Mrs. Mary Beth Oxley had a long time passion for yoga and an immense talent for hosting parties and fundraisers. After moving to Tennessee, she decided to retire from her legal career, and in her new found free time she immersed herself in a yoga teacher training course. Her comfort with farm life greatly increased after she began taking care of the horses and chickens, and she began to notice that the actions and emotions she expressed were reflected in the animals and life surrounding her. 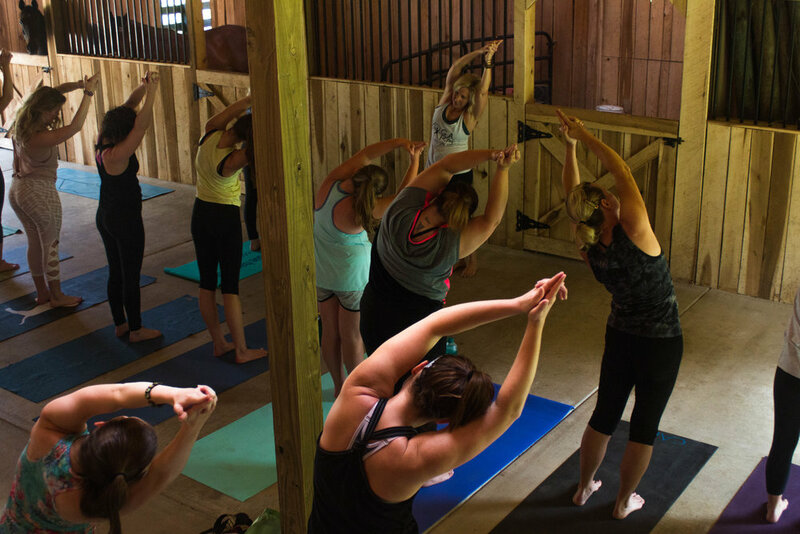 It wasn't very long before her comprehension of the yoga world connected with her new found farm life and The Yoga Farm Nashville was born!